This is a Indian festival celebrated in autumn (northern hemisphere) or spring (southern hemisphere) every year. Its celebration includes millions of lights shining on housetops, outside doors and windows, around temples and other buildings in the communities and countries where it is observed.Before Diwali “Festival Of Lights” night, people clean, renovate, and decorate their homes and offices. The festival preparations and rituals typically extend over a five-day period, but the main festival night of Diwali coincides with the darkest, new moon night of the Hindu Lunisolar month Kartika. In the Gregorian calendar, Diwali night falls between mid-October and mid-November. This year Diwali “Festival of Lights” is October 30 2016. Here is a article by National Geographic about it more in detail. 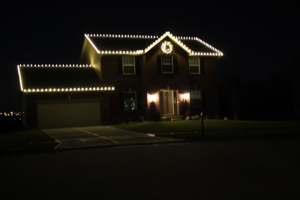 Proserve Group will install lights, fix any problems during holiday season, then remove the lights.